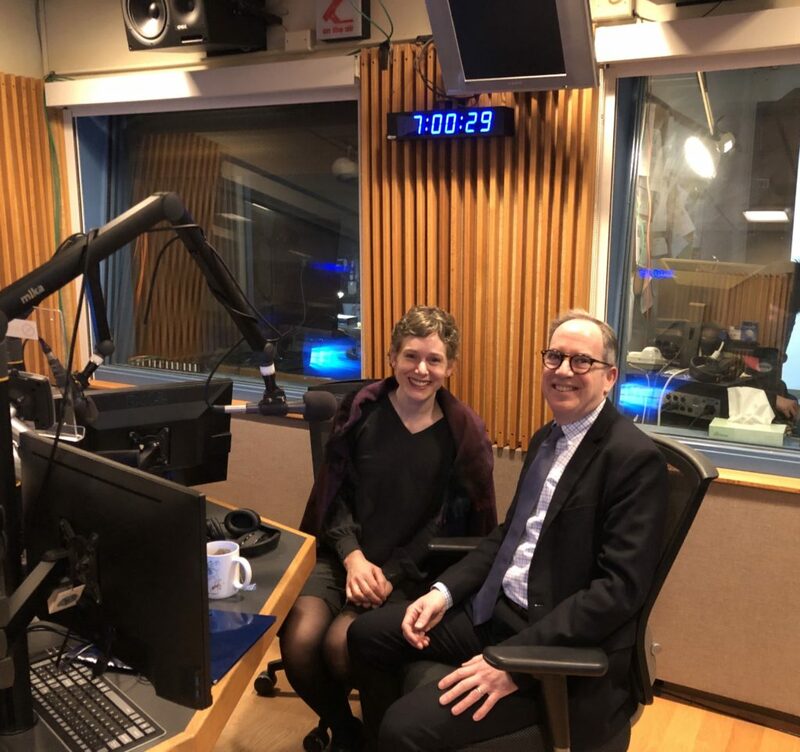 Lawrence University President Mark Burstein appeared Thursday morning on Wisconsin Public Radio’s “The Morning Show” with Kate Archer Kent to talk about challenges facing higher education, the value of a liberal arts college and the need to assist students in navigating the costs of college. Below are excerpts from what President Burstein had to say on the live show. To listen to the interview, click here. On the draw to a private liberal arts college? On helping students navigate costs of college? “At Lawrence, this has been a real focus for us. … Our stated price is about $57,000 a year. But 98 percent of our students get aid. And that aid on average is half the cost. So, it halves the costs every year. “And we’re really trying to raise even more money to increase that grant aid to students and families. Right now, our average debt that a student graduates with is $31,000. That has decreased over the past six years. And we’re trying to get it down to about $25,000. So, for Lawrence, it is a sustainable proposition. We’re really trying to raise more money to support every student and family to ensure they can afford a Lawrence education. On how the Full Speed to Full Need campaign came about at Lawrence? “Full need means the institution, the college or university, has enough resources to support every family to the level that federal methodology says that we should. What surprised me … is that there are only 70 full-need institutions in the country. And there are over 3,000 institutions that teach undergraduates. On the battle to keep enrollment numbers up? The event, at 11:10 a.m. in the Lawrence Memorial Chapel, is free and open to the public. The convocation also will be available via a live webcast. In his address, Burstein will discuss the importance of dialogue across different viewpoints and the role universities must play to foster this engaged exchange. As our society becomes more segregated by socioeconomic class, race, and political view, universities, as training grounds for citizenry, are obligated to create campus communities where a diversity of viewpoints are explored. Last spring’s rash of cancelled commencement speakers calls into question whether universities are fulfilling this role. Lawrence’s 16th president, Burstein began his tenure in July 2013 after nine years as executive vice president at Princeton University. Prior to that, he spent 10 years at Columbia University as a vice president working in human resources, student services and facilities management. A native of Cedar Grove, N.J., Burstein earned a bachelor’s degree in history and independent studies from Vassar College and a master of business administration degree from the Wharton School at the University of Pennsylvania. • Nov. 4, University of Chicago psychologist Sian Beilock, “Leveraging Mind And Body To Perform Your Best Under Stress.” Beilock is an expert on the brain science behind “choking under pressure” and the many factors that influence different types of performance, from test-taking to your golf swing. • Feb. 17, 2015, Author and New York University Professor Kwame Anthony Appiah, “A Decent Respect: Honor and Citizenship at Home and Abroad.” Known as a postmodern Socrates, Appiah asks probing questions about identity, ethnicity, honor and religion while challenging people to celebrate our common humanity. • May 14, 2015, Honors Convocation, Lawrence University economist David Gerard, “Is it Warm in Here? : The Intractable Challenges of Climate Change.” Gerard will examine the economic, social and technological obstacles confronting the issue of global climate change. Founded in 1847, Lawrence University uniquely integrates a college of liberal arts and sciences with a nationally recognized conservatory of music, both devoted exclusively to undergraduate education. It was selected for inclusion in the Fiske Guide to Colleges 2015 and the book “Colleges That Change Lives: 40 Schools That Will Change the Way You Think About College.” Individualized learning, the development of multiple interests and community engagement are central to the Lawrence experience. Lawrence draws its 1,500 students from nearly every state and more than 50 countries.